A village pub window was deliberately smashed in an act of mindless vandalism. The Tam Bain tavern in Laurieston’s Mary Street was targeted in the early hours of Saturday, January 12. Two men were seen in the area at the time of the vandalism. 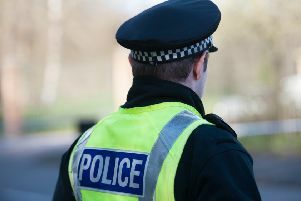 Sergeant Andy Angus, of Falkirk Police Station, said: “CCTV has captured two males wearing dark clothing acting suspiciously at about 1.45am.